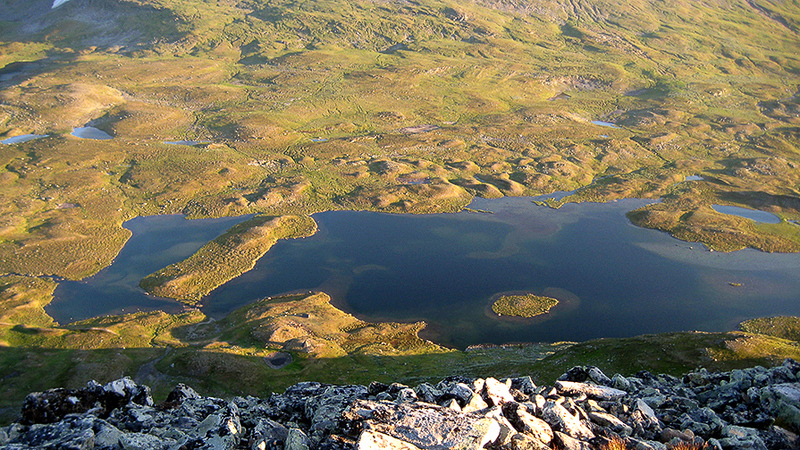 Join Fjällhästen and a well experienced fishingguide for an exclusive fishing for brown trout and Arctic char in exemption waters in the Nature Reserve of the Vindel Mountains. The steady Icelandic horses, used to walking in trackless mountain terrain, will first take us to Tjaskal where the fishing takes place in a small system of meres on the border between birch forest and bare mountain. The other days are spent above the tree limit in the Skeble Valley, where we fish in Sámi exemption waters. 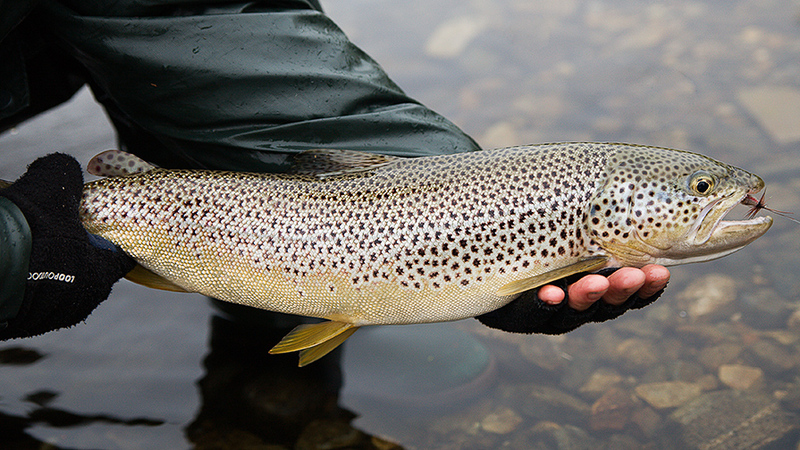 An exclusive brown trout and Actic char fishing of world class! 12-17/8 obs! Already fullbooked, but You can be on a reservlist. Arrival and gathering at Fjällhästen’s hostel at four o’clock. Introduction of fishing- and horse guide and the planned setup for the days. Review of the equipment and packing of the personal equipment in pack roll bags which are borrowed from Fjällhästen during the tour. Dinner is not included this evening but restaurants in Ammarnäs are open. We spend the night at Fjällhästen’s hostel. Breakfast at the hostel and at about nine o’clock it’s departure for the Icelandic horses. 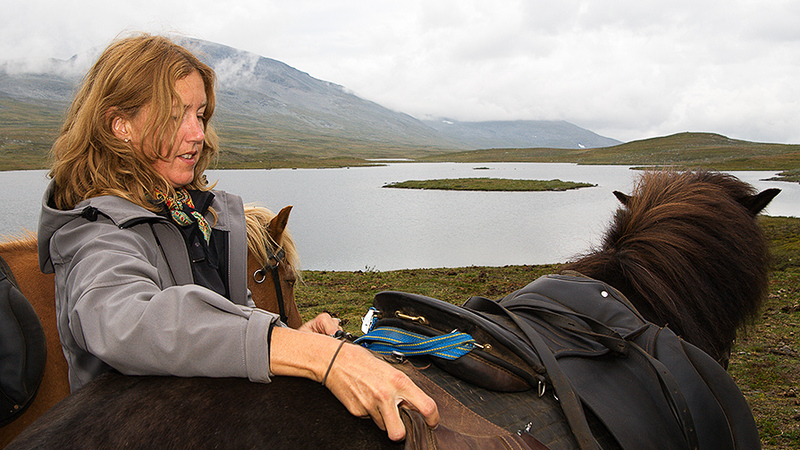 The horses are prepared and the tour towards Fjällhästen’s camp Tjaskal starts. After approximately eight kilometres we’re there. Lunch is served before the fishing starts. Tjaskal is in the birch forest’s upper part, about 750 metres above sea level. The fishing takes place in a smaller system of meres for both Arctic char and brown trout. Fishing school and tips from the guide for everyone to feel confident with the fishing. Dinner and sleepover in the camp. After breakfast we ride up on the bare mountain. We ride northwest along Stuore Jåppe. Below us is the bird protection area Marsivagge where there are plenty of Long-tailed Skua, Rough-legged Buzzard and sometimes also the Golden Eagle shows itself when we pass. Around noon we stop for a lunch break by the lake Raksjaure. After 22 kilometres of riding we then reach Fjällhästen’s cot by the lake Lule Skeblejaure, 850 metres above sea level. The fishing here takes place in both running and stationary water in a larger system of lakes. Brown trout is what’s being hooked. Dinner and sleepover in the cot on air mattresses and sleeping rolls for best comfort. After breakfast the fishing continues in the lake system of Skeble Valley. Take the opportunity to share the fishing guide’s different tricks for catching the really big brown trout. Naturally we have both lunch during the day and dinner in the evening. Guests who don’t want to fish during the whole tour now have an opportunity to follow the horse guide on a day’s tour further into the valley. Time to break up to go back to Tjaskal. 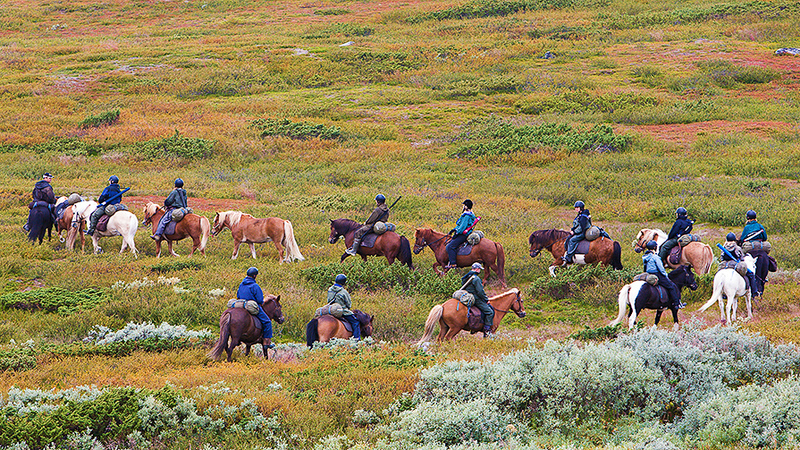 After breakfast we saddle the horses and ride through the Skeble Valley and further up on Stuore Jåppe. Now you have the chance to try the Icelandic horse’s trade mark in the rack gait. After about 22 kilometres of riding we reach Tjaskal. We fish in the meres, with or without float tube. Dinner and sleepover in the hut. After breakfast we prepare for the last leg of eight kilometres back to Ammarnäs where we estimate to arrive at about noon. Shower and sauna are available at Fjällhästen’s hostel before we check out and say thanks for the good company. Lunch isn’t included but the Ammarnäs Inn is open as usual. 13 150 SEK per person. 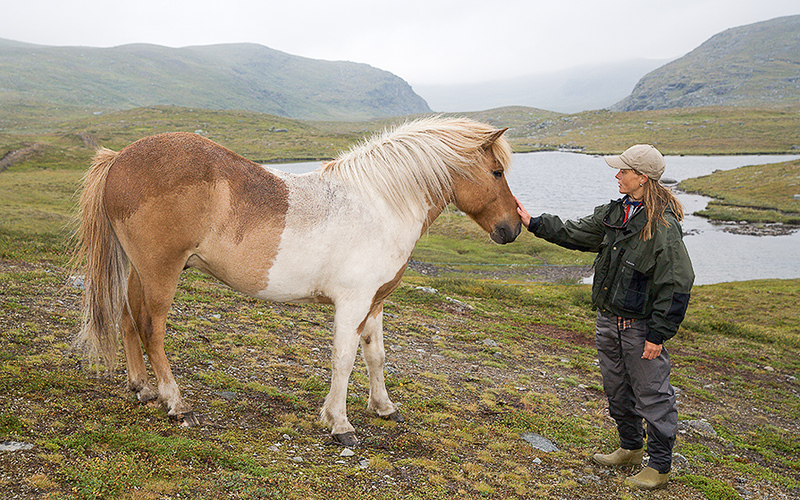 The price includes food, accommodation, Icelandic horse and horse guide, fishing license and fishing guide. Travelling to and from Ammarnäs is added. We give tips on good communications for flights and train. You’ll receive a verification of the booking, a detailed equipment list and a letter of information by post when the reservation has been made. The riding requires you to be fit and in good physical shape, have experience of spending time outdoors, not having troubles with travelling in trackless terrain, good balance and coordination, a maximum weight of 90 kilos and have riding experience to get through the tour. Bear in mind that both the riding and the accommodation in the cots costs energy. You who are above 55 years of age should be a good rider, fit and in good physical shape. As for the fishing you’re not a total beginner and you must handle the basics of fly fishing to get as much as possible from this tour.